I love you, but goodbye. A bird with clipped wings can still sing but no longer fly. 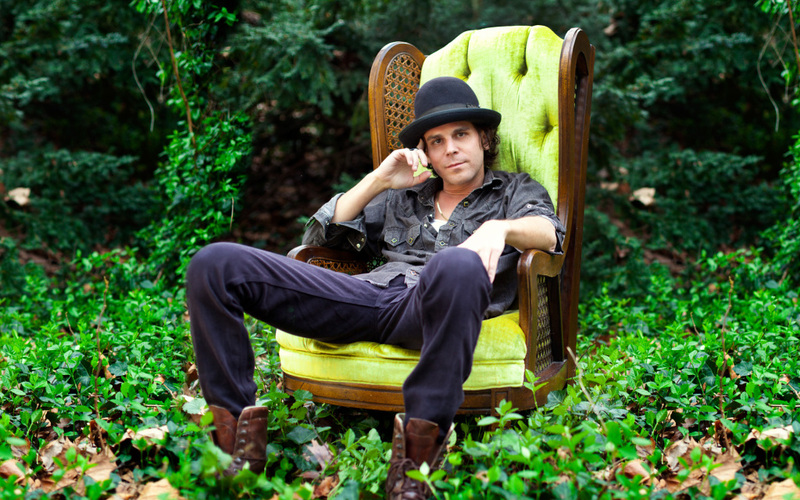 Pennsylvania’s Langhorne Slim, Sean Scolnick by birth, is a singer and guitarist pushing a modern take on folk, country and blues. Langhorne Slim and The Law’s latest album, The Way We Move (Ramseur Records, 2012), delivers an optimistic take on a breakup. The record was crowd-funded via PledgeMusic with a bunch of unique perks: a basic pre-order ($10), the chance to go out for a beer with the whole band before a show ($50) and a private gig in your living room ($1500). Scolnick, a graduate of the Conservatory of Music at Purchase College, has been releasing music since 1999, starting with the independent release, Slim Pickens. He began picking up attention through years of touring and made appearances at Bonnaroo Festival, Lollapalooza and Philadelphia Folk Festival. Breakup records, on principal, are supposed to be difficult listens. Just think back to some of the all-time greats: Bob Dylan's "Blood on the Tracks," Blur's "13," Beck's "Sea Change," Marvin Gaye's "Here, My Dear"—beautiful music, but not exactly rousing listens. Singer-songwriter Langhorne Slim is hellbent on bucking the trend, and his new album, The Way We Move, manages to make heartbreak sound upbeat and almost fun. Recorded with the assistance of his ace backing band The Law, The Way We Move finds Slim moving beyond the confines of the folk world, embracing an eclectic, rollicking, booze- and sweat-drenched rock 'n' roll sound that's more Dylan circa The Basement Tapes than The Freewheelin' Bob Dylan. It’s not bar rock, per se, but woods rock—music that sees Slim’s roots as a folk-y strummer on early albums like 2009's Be Set Free turned weirder, darker and rootsier. The rousing, barely two-minute “Two Crooked Hearts” is even an outright barn-burner, led by a stomping piano plus acoustic guitar arrangement and Slim’s rambunctious hollering of the song’s title. Most of the album is a little slower, but no less lush. Both the bouncy organ-led “Fire” and the title track move with a newfound urgency; these songs would make for great dances at a wedding or a late night campfire. David Moore’s banjo playing is more prominent than ever before—on “Salvation,” it’s a beautiful picked refrain from the lead instrument that backs one of Slim’s finest vocal performances. The Way We Move is both raw and exquisitely produced, cut live at Old Soul Studio in Catskill, NY, a 100-year-old Greek Revival house retooled for recording. It’s the sound of a man losing everything, figuring out how to cope and discovering a new self in his own music. “It’s early in the morning, what are we doing up still/drinking wine out of coffee cups,” Slim sings at the beginning of “Coffee Cups," continuing, "that’s fine by me as long as I’m lying by you.” But what happens when you’re not lying next to the person you love? Sometimes you go and make a great record about it, one that balances sorrow and the joy of music in equal doses.